You wish to score the best band in IELTS exam comes true only when your preparation has a solid time management plans. 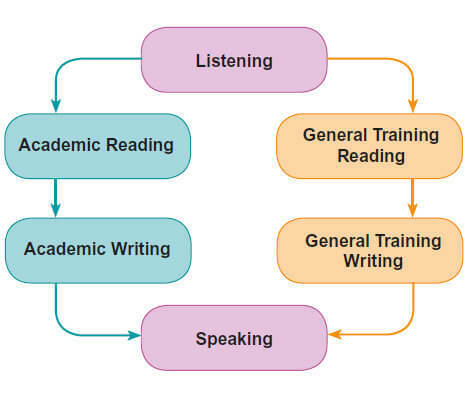 It is not just about marking out your schedule at the end of your notebook, but an optimum use of those two hours to solve all the four sections—Listening, Reading, Writing, & Speaking. Therefore, here is a time management plan that you can understand and follow. It just needs a lot of practice, so keep practicing to achieve a good score. You have 40 minutes for the Listening section—you can divide it as 30 minutes, 8 minutes, & 2 minutes. In the very beginning, Use those 2 minutes to have a super-quick look at the given questions before the audio plays. During such an instantaneous look, mark all the keywords you find are important or seem relevant. Start listening to the audio and while you have already marked some words, it makes searching the answers very quick & easy. Twenty minutes are enough for you to crack the Reading section.Do not spend a lot of time reading the passages thoroughly. Just skim through the paragraphs and move forward. If you are stuck in one question, leave it and work on the next. You can do guesswork for the questions that confuse you, and keep moving forward. You have 1 hour for the writing section where you can use the first 40 minutes for the first assignment and 20 minutes for the second. Always keep a special eye on your grammar, typing errors, and silly mistakes—do not just focus on pouring your entire knowledge of English and exceeding the word limit, it is of no use. Be consistent on your track and avoid the chances that could lead to negative marking. This section completely depends on the affinity you create with the examiner. If you are fluent, confident, and your answers are interesting and engaging, it would put a great impression on the examiner. However, if you fumble, you might lose the opportunity. Be consistent while answering to the examiner, don’t flutter or tremble; just be confident and you’ll do great. The key to crack IELTS exam is practice! Practice continually at home and optimize & manage your time in the same way you would do during the exam time. Genuine knowledge and great practice would surely help you score great bands in your exam.